Engaging and preparing the next generation is critical to help clients successfully pass on wealth from generation to generation (and sustain our professional practices when the wealth transitions). Generational differences, gender stereotypes and personal biases can impact how we connect with and relate to others. During this workshop we will explore the perceptions that exist, reflect on how biases affect us and discuss how to deepen our relationships. With nearly 20 years’ experience working with ultra-high-net-worth families and family enterprises to achieve multigenerational wealth sustainability and the successful impact of wealth, Jill Shipley leads Family Culture, Impact and Governance at Cresset Family Office. Passionate about helping individuals and families define and accomplish their values, goals and objectives, Jill is expert in family wealth consulting, family systems, preparing the rising generation, communicating about wealth, navigating family enterprise transitions, family and business governance, and strategic philanthropy. Jill has been awarded by Family Wealth Report as a Rising Star in the Wealth Management Industry and is a recognized keynote speaker, author and media personality, having been quoted in media such as the Wall Street Journal, Barron’s, and Financial Advisor magazine. She is also an educator with extensive curriculum development experience focused on experiential learning in the areas of financial literacy, investing, wealth preservation, philanthropy, personal and professional development and family governance. Prior to joining Cresset, Jill served as managing director, Institute for Family Culture, for Abbot Downing, where she was a family wealth consultant focused on family dynamics, education & governance, family business transitions and social impact analysis. 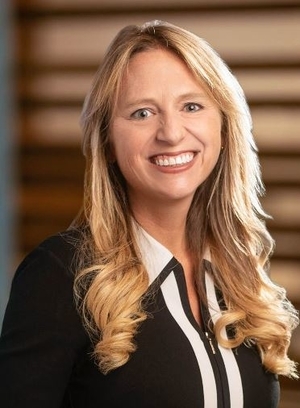 Previous to that role, she served as director of Next Generation Education for GenSpring Family Offices, where she developed the strategic vision for GenSpring’s educational offering with a mission of preparing family members for life with wealth. Jill has been an adjunct professor at Stetson University’s School of Business where she taught courses on family businesses. She also served as an invited faculty member with the University of Pennsylvania’s Wharton Executive Education Wealth Management Program. Jill earned both an MBA and a Bachelor of Science in Business Administration from Stetson University.